All 37 of us gathered again on the 3rd floor in the Factory hotel here in Münster. 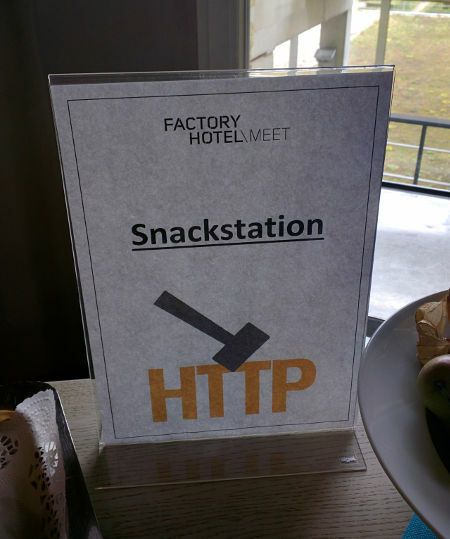 Day two of the HTTP Workshop. Jana Iyengar (from Google) kicked off this morning with his presentations on HTTP and the Transport Layer and QUIC. Very interesting area if you ask me – if you’re interested in this, you really should check out the video recording from the barbof they did on this topic in the recent Prague IETF. It is clear that a team with dedication, a clear use-case, a fearless approach to not necessarily maintaining “layers” and a handy control of widely used servers and clients can do funky experiments with new transport protocols. I think there was general agreement with Jana’s statement that “Engagement with the transport community is critical” for us to really be able to bring better web protocols now and in the future. Jana’s excellent presentations were interrupted a countless number of times with questions, elaborations, concerns and sub-topics from attendees. Gaetano Carlucci followed up with a presentation of their QUIC evaluations, showing how it performs under various situations like packet loss etc in comparison to HTTP/2. Lots of transport related discussions followed. We rounded off the afternoon with a walk through the city (the rain stopped just minutes before we took off) to the town center where we tried some of the local beers while arguing their individual qualities. We then took off in separate directions and had dinner in smaller groups across the city.